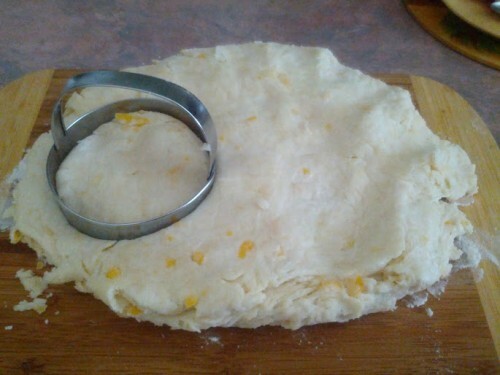 I love making biscuits. If done right, they are quick, easy and melt in your mouth delicious. 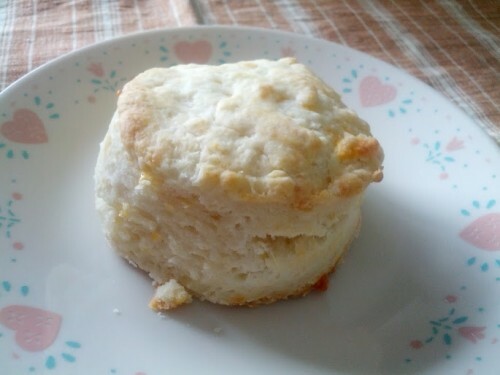 One of my biggest pet peeves is that it can be SO hard to find a recipe that doesn’t require buttermilk. I don’t know about you, but I don’t regularly keep buttermilk in my fridge. I also don’t like to “make my own” because it makes me nervous. I’m really happy to share this super easy recipe today! 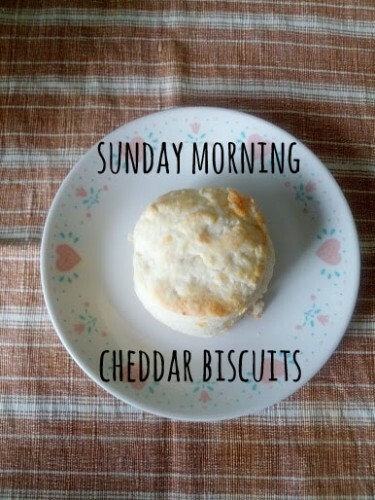 It makes moist, flaky biscuits perfect for brunch. This recipe makes 8 biscuits and takes 20 minutes to prepare. 2.Mix the flour, baking powder, salt and cheese together in a large mixing bowl. 3. 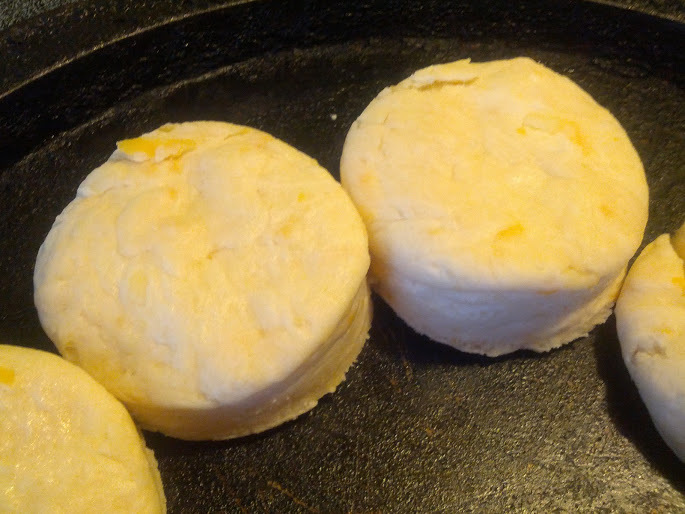 Add in the margarine using a pastry blender or using two knives. Mix until the mixture forms coarse crumbs. 4. Make a well in the middle of the mixture and pour in the milk. 5. Using a fork, stir together the mixture until it forms a shaggy dough. 7. Turn out the dough onto a floured surface. Knead just until the dough comes together. 8. Pat the dough into a round shape 3/4″ thick. 9. Using a biscuit cutter or the bottom of a glass, cut out biscuits and transfer to baking tray. 10. Pop in the oven and bake for 20 minutes, or until lightly browned. Enjoy!